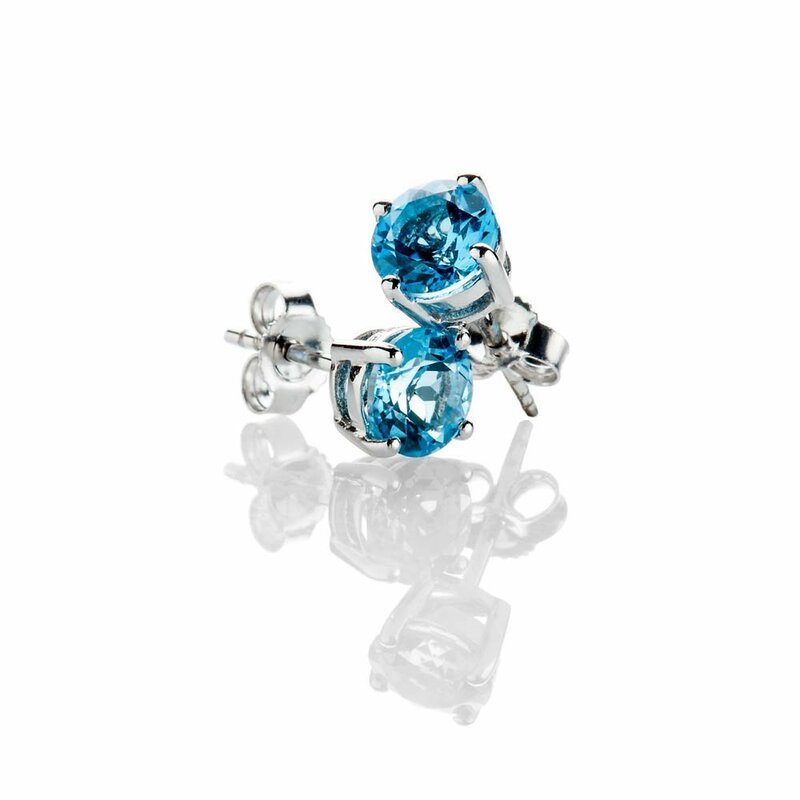 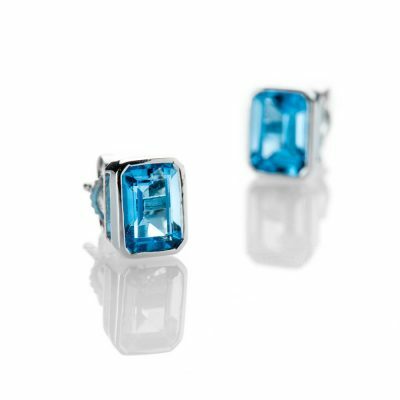 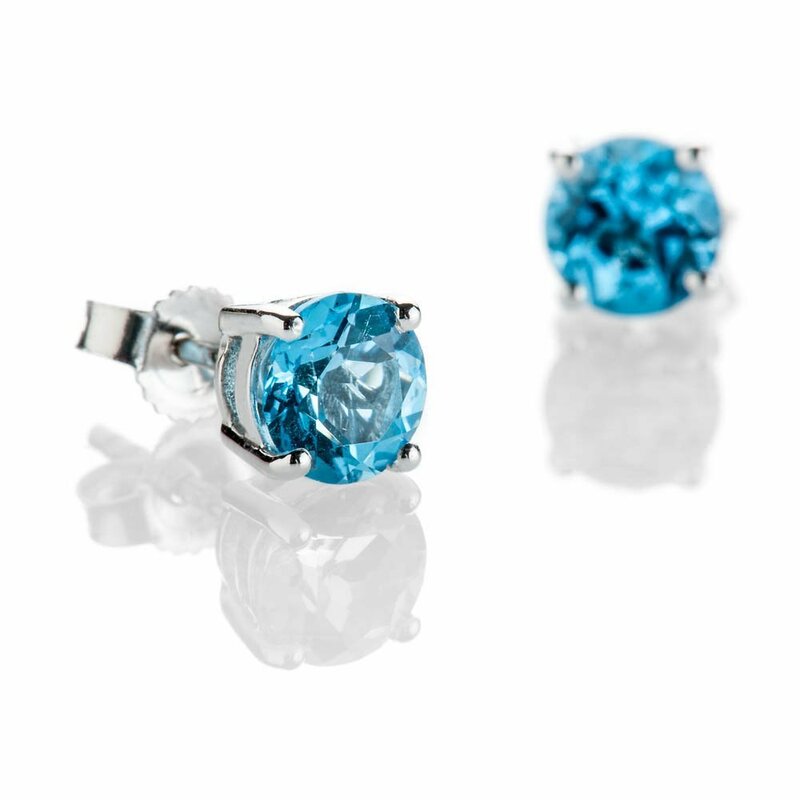 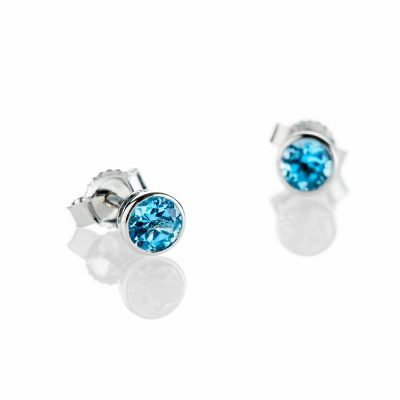 Stylish treated Swiss Blue Topaz (approx. 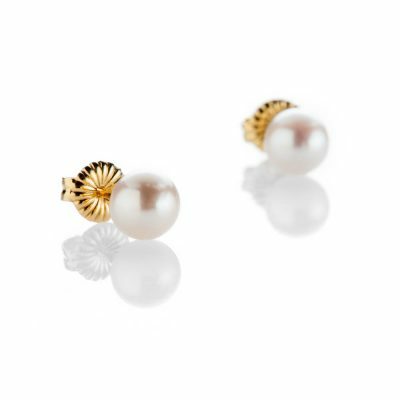 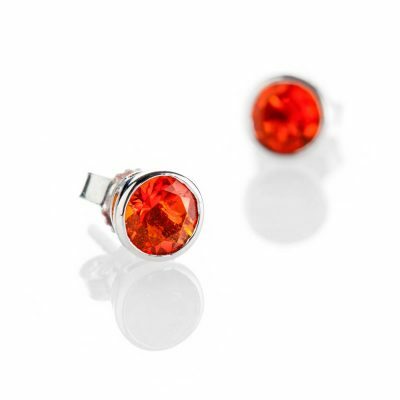 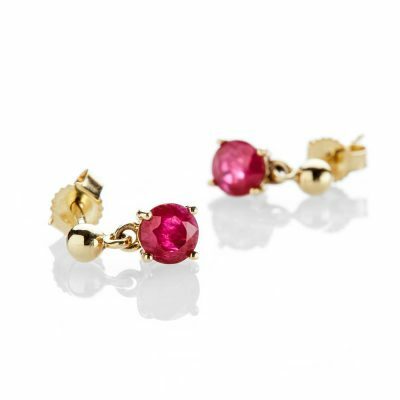 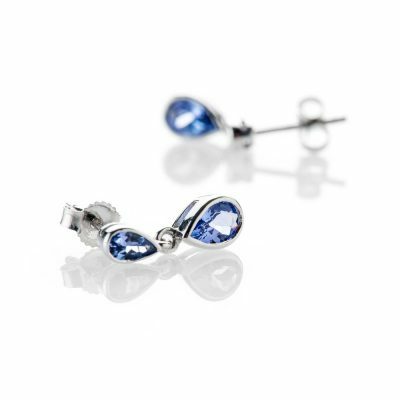 5.5mm, 1.50cts) 9ct white Gold earrings make a beautiful everyday accessory. 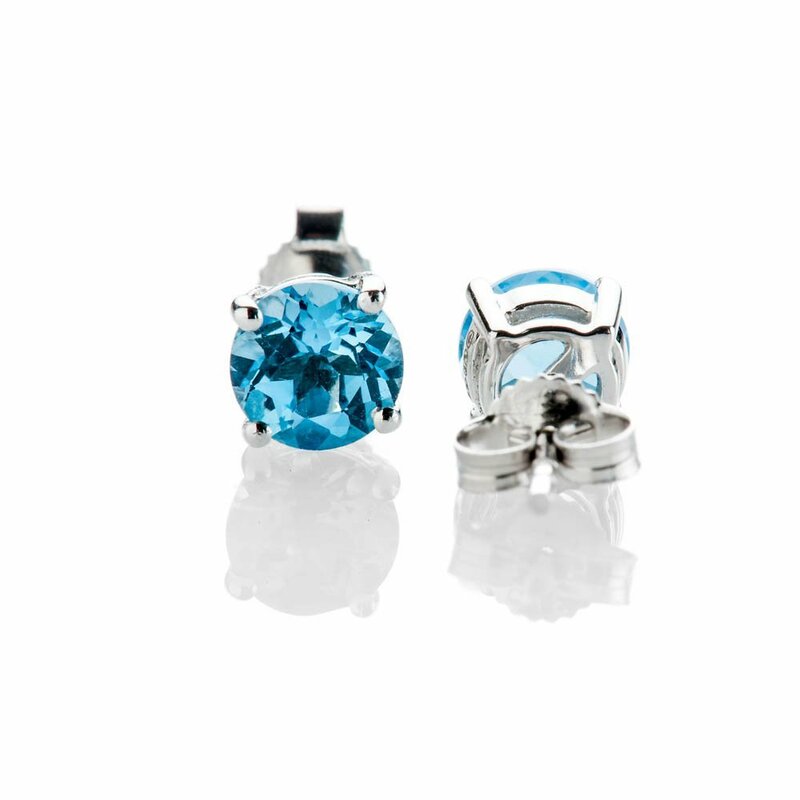 Gross weight 1.4g.